The bandsaw holds a truly special place among woodworking machines because the woodworker interacts with it differently. 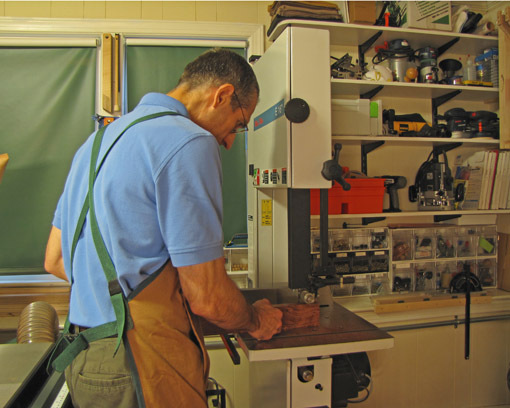 I steadfastly contend that developing skill with a quality bandsaw can have greater effect on a craftsman’s development than with any other machine. In use, the bandsaw feels to me more like a motorized hand tool. In contrast to operating a table saw, where the idea is to make the outcome of the cut a done-deal as much as possible beforehand, cutting at the bandsaw usually has an aspect of freedom. With the exception of resawing, I much more often cut to a line by eye than by using a fence, using it as a mostly non-jigged power tool. As evidence of the creativity fostered by the bandsaw, I use it almost exclusively in sawing pieces for mock ups. I can also feel the bandsaw’s cutting action – much like a hand tool – much more than with a table saw or router. The bandsaw also allows us to use wood in ways no other power tool can. Resawing, cutting curves in thick stock, and cutting non-parallel to the edge of a board are tasks at the heart of how I build with wood. True, I could do those jobs with hand saws, but I prefer the bandsaw the great majority of the time. 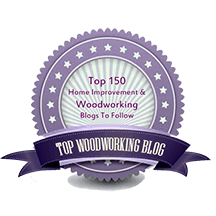 For woodworkers doing other types of work, such as turning, chairmaking, shop-made veneering, boatbuilding, and musical instrument making, the bandsaw is pivotal in getting the most from nature’s bounty of wood. Consider what is involved with setting up and tuning a bandsaw compared with other machines. When setting up a jointer, it is a fairly clear-cut, though hardly easy, task: tables flat and parallel, all knife edges parallel to the tables, fence square to the table, etc. Lots of imperatives, not many decisions. The bandsaw, on the other hand, leaves more room for personal preferences within a range of reasonable options. Do you like the wheels flat or crowned? What style of blade guides do you prefer? Where do you like to set the thrust bearing? How much tension on the blade? On these and many other bandsaw tuning issues, reasonable people can disagree. Though only two different blades cover almost all of my needs, it took me considerable research and trial and error to refine those choices from the myriad available, leaving aside many other good ones. This is another way of saying that the bandsaw allows for personalization. In fact, it really demands that a skilled user exercise his preferences more than with other machines. 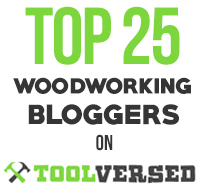 So, while I might sound like a bandsaw salesman, my real purpose in this post is to encourage woodworkers who are building their tool set, and who might be, ahem, on the fence, to put the bandsaw– and bandsaw skills – high on the list. It has the versatility and freedom of a hand tool, with a machine’s muscle. Agree about the points you’ve made here. It’s a wonderful tool. I remember seeing a nice photo in one of James Krenov’s book of him cutting out shelf support pegs. Also, in Sam Maloof’s book where he was shaping a chair arm. The versatile tasks it performs! I envy the time you’ve spent researching all those variables. I grabbed a (badly) reconditioned 1940s Delta 20 ” when I was starting out and it has never been really right, so many problems. One of these days I’ll get a new one and really live a little! I’ve been meaning to write something along these very lines myself,you’ve saved me the the hassle.I love my bandsaw & do indeed consider it a hand tool & even although it is only a small beastie,Scheppachs Basato 3,I have managed some quite meaty jobs,namely sawing up some 75mm thick aluminium stock! I think this is why the bandsaw is often referred to as the neanderthal’s apprentice. Although I have slid down the slope into galootdom, and my table saw sits sadly in a corner as a glorified assembly table, I continually go back to my bandsaw for all manner of tasks. It has to be one of the most valuable tools in my shop. My bandsaw is easily the most used powertool in my shop, but I never thought of it as a “motorized hand tool.” I have to admit that it’s a very good description, though. What are the two main blades that you spoke of using? I seem to have either a 1/2″ 3 TPI or a 1/4″ 4 TPI on my saw, but I’ve wondered what I could do with a very narrow (1/8″? 3/16″?) blade. For cutting legs out of 8/4 or 12/4 stock, and for general curved work in 3/4 stock, I like a 3/8″ width, .025″ thick, 6 tpi “PC” blade. PC is Positive Claw is their name for hook teeth in a skip tooth pattern. About $25. I use gradual, sweeping curves in my work so the 3/8″ blade turns those just fine, and has more body than a 1/4″, though I guess the latter is more versatile for most woodworkers. For resawing, I like a 3/4″ width, .025″ thick, 2-3 tpi “VPC” blade. VPC is Variable Positive Claw which is a hook tooth with a variable pitch to reduce vibration. About $35. A carbide tipped blade has been on my wish list for a while but this blade does a good job. I’m more comfortable with a bandsaw than a tablesaw. I think resawing is one of the best advertisements for bandsaws. Rather than wasting expensive wood by running a board through a planer you can cut off thin slices of wood and save them for verneer. A tuned bandsaw is capable of making very fine cuts. Because bandsaw blades are thinner you tend to waste less wood on any kind of cut.